The Introduction to Baseball program is a combination of our former Tee-Ball and Coach-Pitch leagues. This is a fun, non-competitive league open for 5 & 6 year old boys and girls that stresses the fundamentals of baseball. At this level, children will learn the basics of running bases, throwing, catching, fielding, and batting. They will have the opportunity to bat from a tee or have a coach pitch to them. Registration for Introduction to Baseball will open mid-March and must be completed through our TeamSnap application. The registration link will be available on our website and Facebook page. 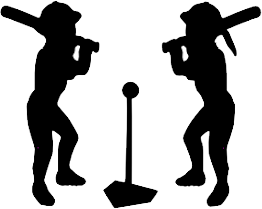 Equipment: Each player should provide their own baseball glove, athletic shoes or cleats, and baseball bat. Helmets are mandatory and will be provided by the park district or players may provide their own helmet. Uniform shirts will be provided by the park district. The program will start in early May with three days of mandatory evaluations. Practices and games will be scheduled throughout May and June and times will be decided by the coaching staff after registration is complete. Weekday practices and games will last for one hour and will be held at Jacob's Field at the north end of the park.